Located in the heart of America, the RTB Kansas City, KS Chapter serves the Kansas City metropolitan area, with a population of over two million people. Straddling the border of Kansas and Missouri, we can draw on people from both states. Our chapter exists to help educate the community about the sound reasons and scientific evidence that exists for biblical truth. The chapter is small but includes scientists and working professionals trained as RTB apologists. 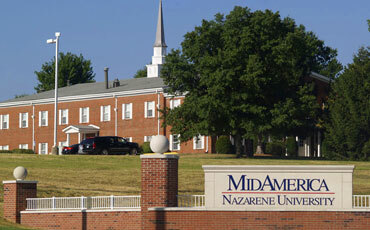 The group meets on the MidAmerica Nazarene University campus in Smith Hall, Room 200, on the southwest corner of 139th Street at Mur-Len Road in Olathe. We meet on the second Tuesday of each month from 7:00 PM to 9:00 PM (except during the summer months). A typical meeting starts with a time of fellowship and enjoying some light refreshments. The main content typically consists of either a live speaker or a video presentation from an RTB resource. This is followed by an often lively discussion and Q&A time to help answer questions and clarify content. We look forward to meeting you and making you feel at home with us.